The overall or total efficiency of a CHP system is a function of the amount of energy recovered from the turbine exhaust. 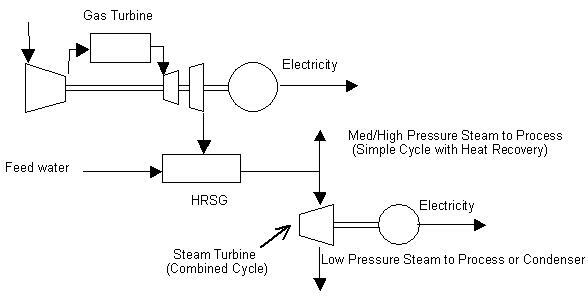 The two most important factors influencing the amount of energy available for steam generation are gas turbine exhaust temperature and HRSG stack temperature. The Rankine Cycle is a thermodynamic cycle which converts heat into work. 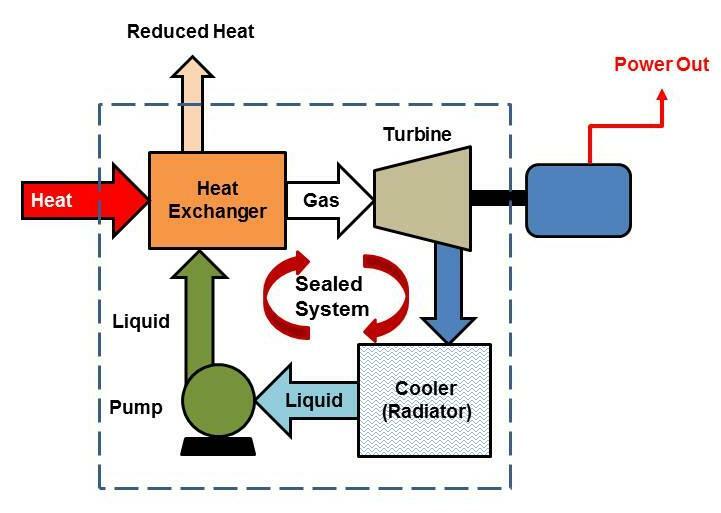 The heat is supplied externally to a closed loop, which usually uses water as working fluid. The Rankine Cycle based on water provides approximately 85% of worldwide electricity production. The principle of the Organic Rankine Cycle is the same as that of the Rankine cycle – working fluid is pumped to a boiler where it is evaporated, passes through a turbine and is finally re-condensed. The fluid has a liquid-vapor phase change or boiling point that occurs at a lower temperature than the water-steam phase change. This fluid allows Rankine cycle heat recovery from lower temperature sources such as combustion, industrial waste heat, geothermal heat. The low-temperature heat is converted into useful work, that can itself be converted into electricity. More information on heat recovery for additional electric generation can be found in our CHP Applications Guide.